Try the Games of the Old West Quiz! Brave the frontier of the Old West with our quiz! The Old West has long been a source of inspiration for many books and films featuring cowboys, lawmen, Clint Eastwood and the unexplored western frontiers of 19th century America. Games have been no exception; whether its hunting rabbits in The Oregon Trail or taking down bandits in Red Dead Redemption, the themes of the Wild West are a great setting for action and adventure. 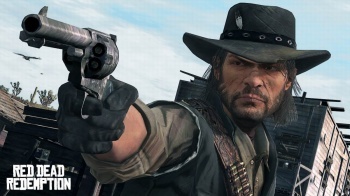 But how much do you know about games that draw their inspiration from the Old West?